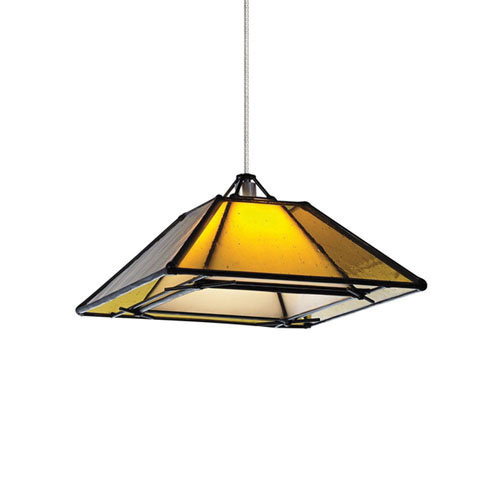 Tech Lighting Oak Park Collection Kable lite system low voltage pendant fixture in amber color, has black metal frame for added strength and durability. This fixture in satin-nickel finish, features seeded glass socket and one 50-Watt T20 halogen lamp. The fixture measuring 7.3-Inch x 3.3-Inch, has a voltage rating of 120-Volts. The pendant fixture is cETLus listed.